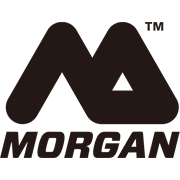 Clean your floors without the need of a mop bucket, with Morgan’s mop with spray applicator. The built in refillable spray bottle allows you to use your own cleaning solution or simply warm water. It features an ergonomic trigger handle and a spray head with precise action so that liquid won’t get on your walls or furniture. The microfibre pads are reusable and machine washable and will leave your floor clean and streak free. The mop is suitable for most hard floor surfaces.